Product prices and availability are accurate as of 2019-04-14 09:49:00 EDT and are subject to change. Any price and availability information displayed on http://www.amazon.com/ at the time of purchase will apply to the purchase of this product. 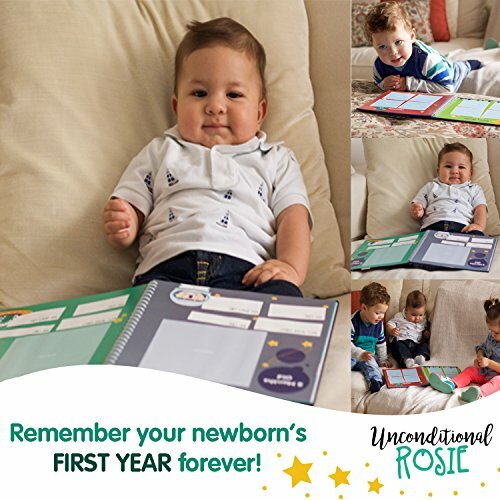 This modern baby book gives you a (and beautiful way to document all the special moment's of your toddler's first year. Mom will easily record special memories through photographs and milestones. 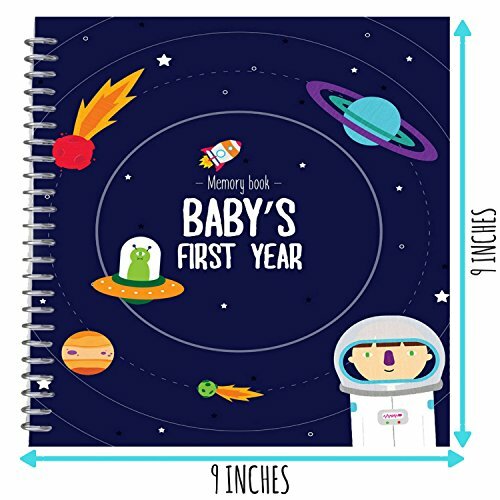 Perfect for you as a mommy or as a baby shower gift, this lovely newborn journal will help mom remember and recall their newborns first year forever. The colors are unisex, for both boy or girl. Take photos of your baby and then keep them forever in an album as keepsakes - helping you capture and storing your kids most precious moment during its first year of life for many years to come. 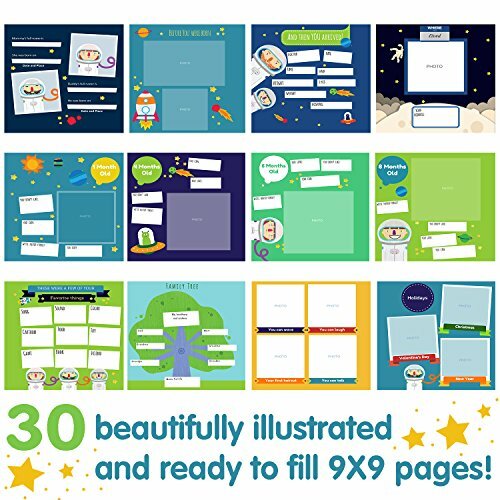 12 high-quality and beautiful milestone stickers included. 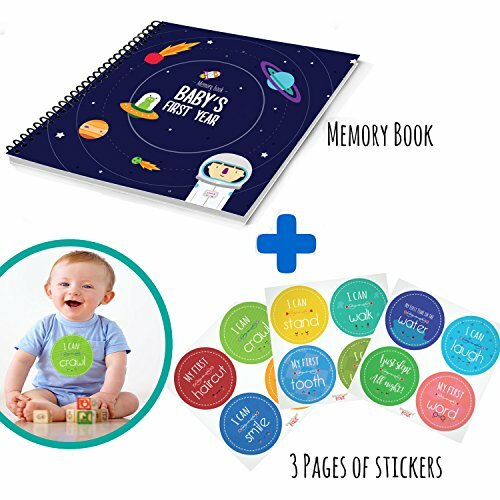 Just peel the pre-cut stickers from the adhesive paper and stick it to your baby's clothes. A great accessory for your baby's photography! This gorgeous book is hardcover and responsibly-printed. Each illustration was lovingly designed for you. We made this with love, and we hope you enjoy filling it out as much as we did creating it.